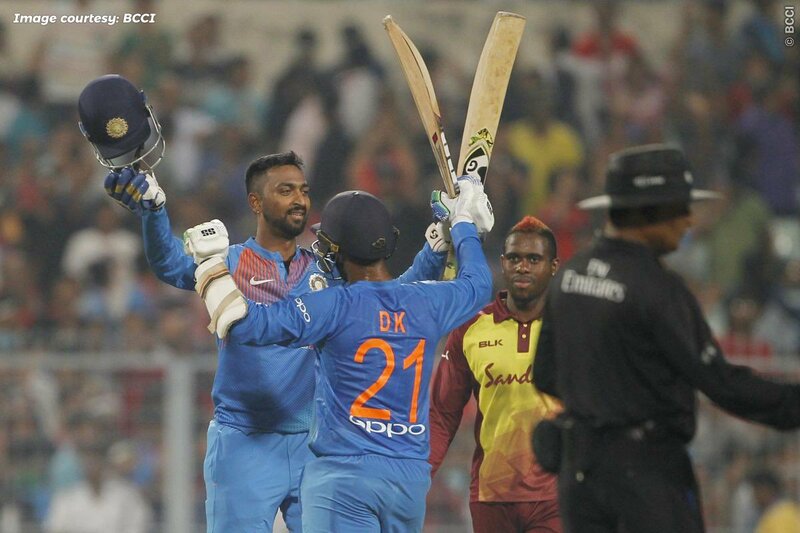 India beat West Indies by five wickets in the first T20 played in Eden Gardens, Kolkata, and have achieved a 1-0 lead in the three-match series. 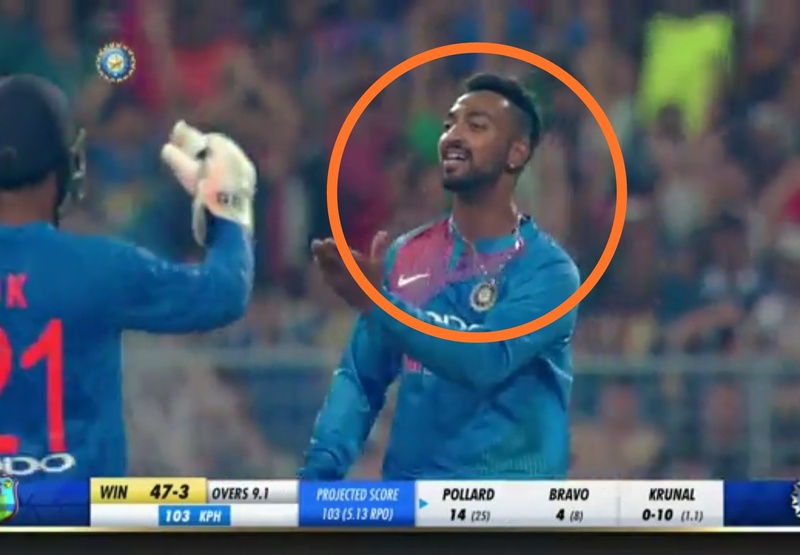 The West Indies team could only score 109/8 in the given 20 overs, in response to which India achieved the target by losing five wickets in the 18th over. Kuldeep Yadav (3/13) was adjudged Man of the Match for his excellent bowling. 6. West Indies's lowest score in T20 International against India - 109/8 The previous record was 129/7, which was made in the 2014 World T20. 5. 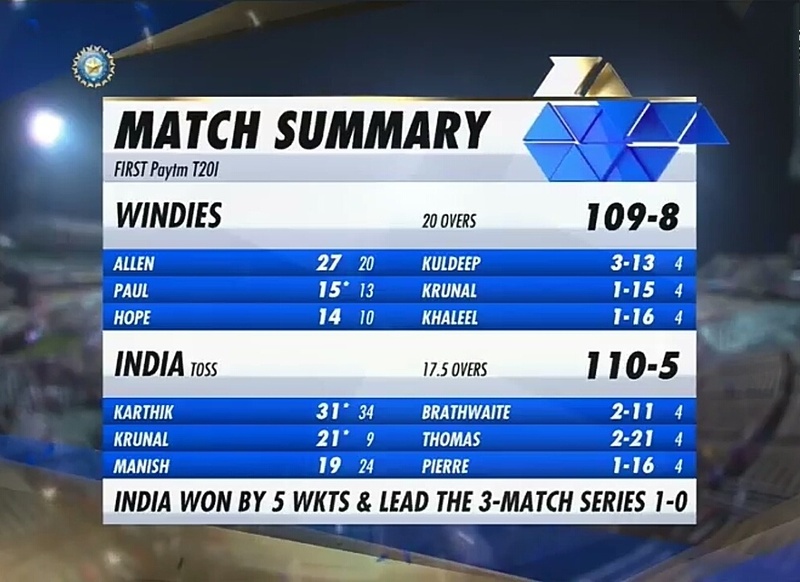 7th consecutive Asian defeats for West Indies in T20 matches in Asia. West Indies last win in Asia was against England in the 2016 World T20 final. 4. 9th win in 10 matches as Rohit Sharma as captain. None of the captains in the world have better record in the first 10 matches. 3. 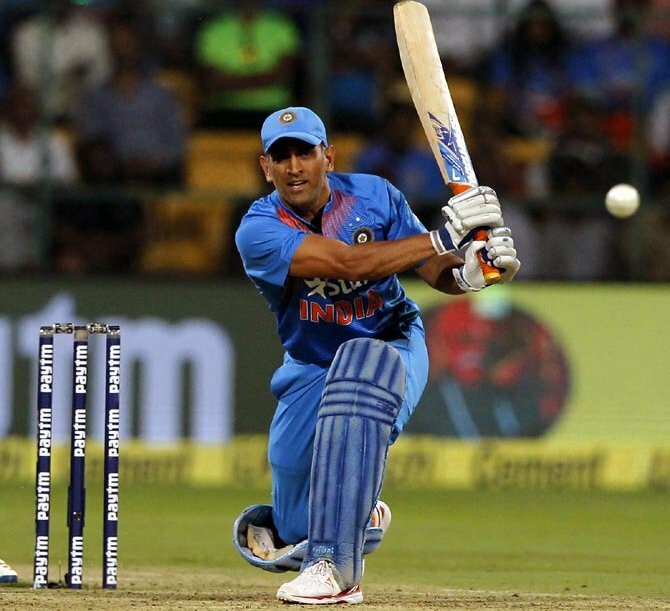 For the first time in India, the Indian team played without any MS Dhoni in T20l. Earlier, India had played 31 matches in India and Dhoni was present in all those matches. 2. 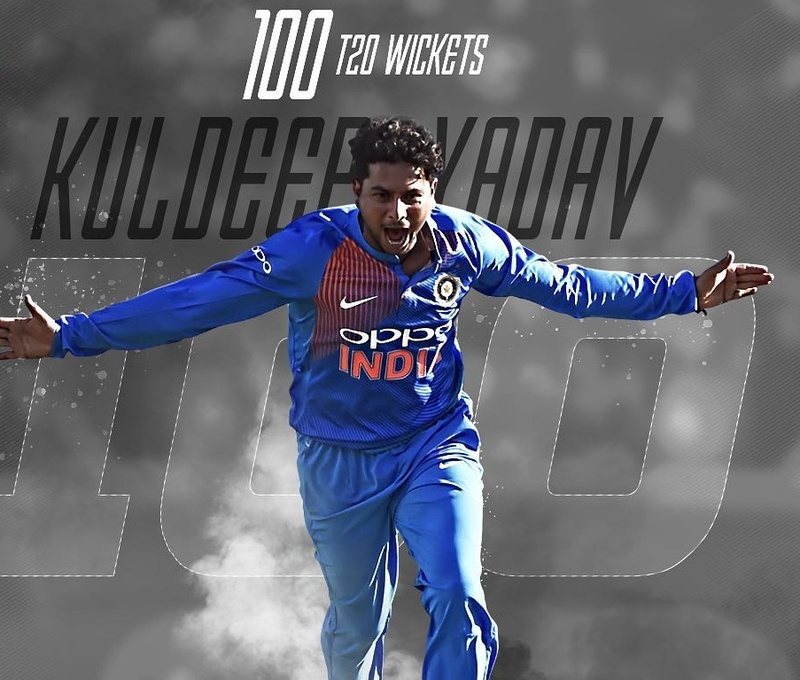 Kuldeep Yadav completed 100 wickets in 75 T20 matches and in this case, he had equalled Amit Mishra's record of 100 wickets in T20 cricket. He took a wicket in four overs by giving just 15 runs with economy if 3.5, and then scored an unbeaten 21 in the 9 balls with strike rate of over 200. With this, he became the only player to achieve this on debut.